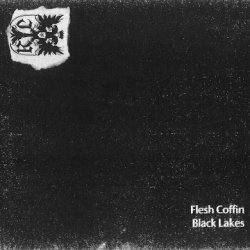 A new Flesh Coffin tape titled “Black Lake” is out now on Imperial Noir. This tape contains less of the typical Flesh Coffin harsh noise, and more foggy drones, distant rumble, creepy creaks and things that generally go bump in the night. This entry was posted on June 14, 2015 at 6:13 pm and is filed under News, Sounds with tags Flesh Coffin. You can follow any responses to this entry through the RSS 2.0 feed. Responses are currently closed, but you can trackback from your own site.